Your garage door has hundreds of different screws, fasteners, nuts, and bolts. 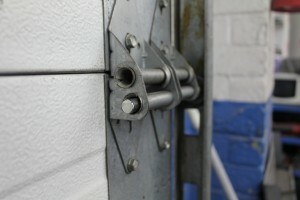 Daily operation of your door can cause any one of them to loosen, causing a noisy garage door. When trying to diagnose a loud door, check and tighten all of the hardware. A loose screw can be an easy fix to your load and distributive garage door. Garage door tracks can often collect dirt and debris and could be causing your garage door’s louder than normal noise. Inspect the track and clear any visible debris and objects that could get caught on the rollers. If you have inspected and lubricated your garage door and it’s still noisy, the problem could be with your garage door opener. A noisy garage door motor can be a sign of aging and likely needs to be replaced by a professional. Questions about garage door openers or anything else garage door related? Contact us and we will gladly help you out! True Garage Door happily services the entire Tri-State area, New York, Connecticut and New Jersey.